We went to Rosedale to see art, and it wasn’t that weird. 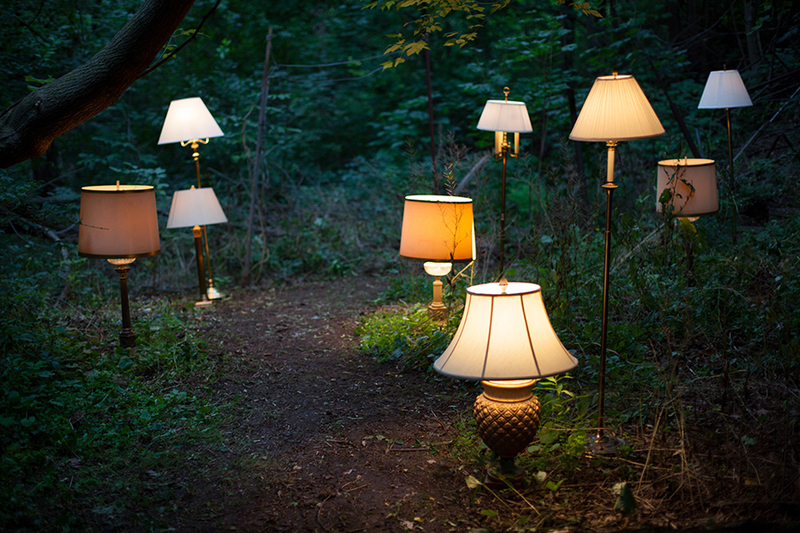 This summer, a new art space opened in Toronto’s Rosedale neighbourhood. 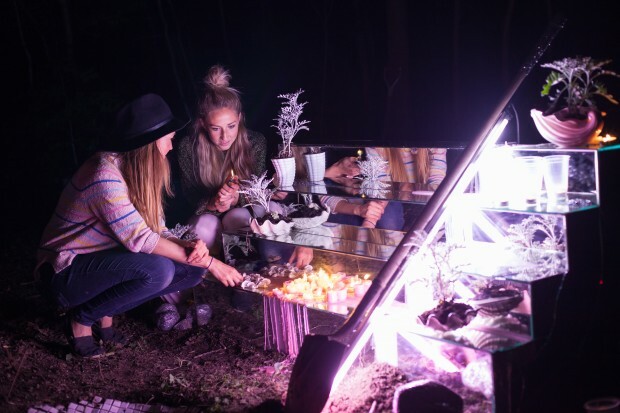 In the backyard of a mansion, for one night only, emerging artists utilized the vast and varied ravine space by making experiential works—sonic, visual and spatial. The works were installed to emphasize the unique qualities of the site, looping around trees, up hills, and in the remnants of an abandoned greenhouse and gardener’s quarters. 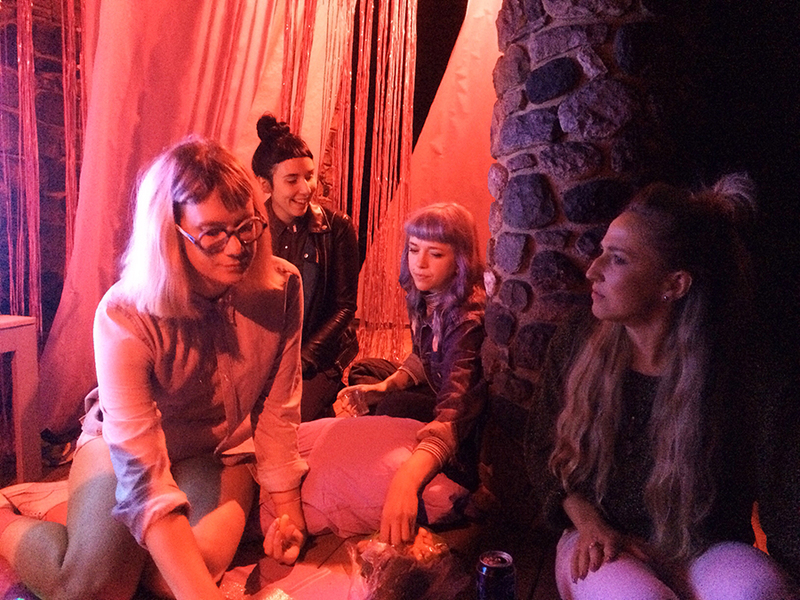 Exhibition nights are a somewhat exclusive invite-only affair. With no Facebook event, Studio 93H relies on word of mouth and an simple e-mail flyer to gather an audience. This approach proved successful. Despite its location break from the usual Toronto gallery hotspots, Studio 93H was packed with people. At the last event, titled “Steady As She Goes,” there was work by Gemma Warren, Diana VanderMeulen, Nick Bierk, The Broadbent Sisters, Myf Shepard, Miles Gertler, Zhi Rui Lim, Greg McCarthy, Jake Sherman and Evan Taurins. All set to music of DJ CHOBO. 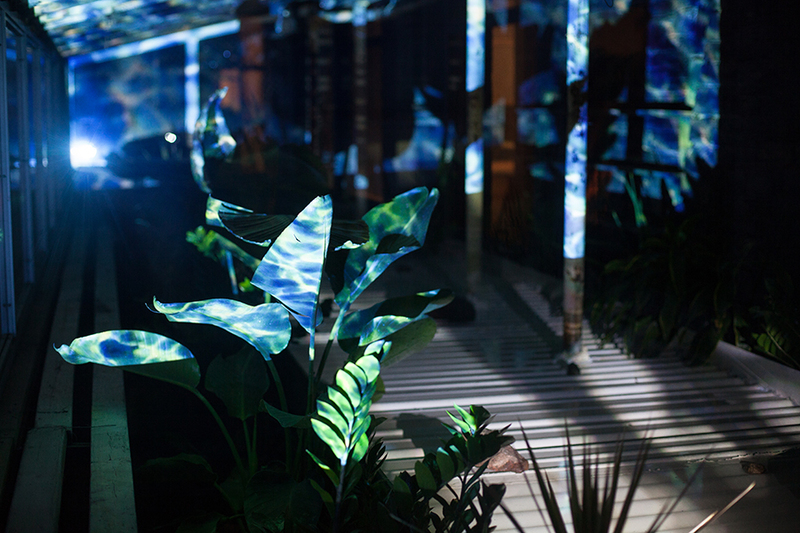 Some event highlights include Carbon Paper’s Warren, who converted the deserted greenhouse space into an experiential aquatic tank. VenderMeulen repurposed the pool house into a pink dream lounge. With atmospheric sounds, pink streamers set to motion by fans and a flat screen displaying fluctuating pink and blue visuals, this was some kind of heaven. 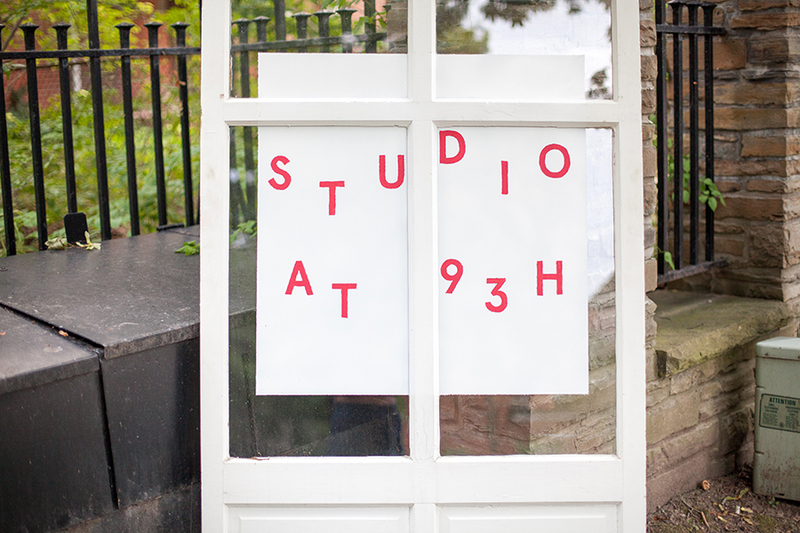 Studio 93H was co-founded by Miles Gertler, an architecture grad student and previous deputy curator for the Canadian pavilion at the 2014 Venice Biennale, and Michael Seater, who works in film, television and art. The pair saw the infinite potential in the outdoor area, making advantageous use of the abandoned space to offer something new in the way of Toronto arts venues. Miles and Michael intend to keep Studio 93H running throughout the year, with a show in sight for the fall season. Winter may be trickier as the exhibition is primarily an outdoor space, but who knows what they’ll cook up. We’re excited to see more great exhibitions that will bring us back to Rosedale.